Rwandaair is one of the most active airlines in Africa. This means that your travel to, around and from Rwanda connecting to other destinations is affordable and easy. 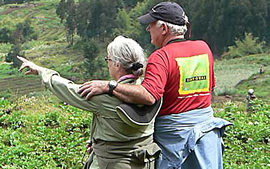 The ease of connectivity between Rwanda and other African/European countries has made Rwanda a stop centre for most African Safaris. In that case, Rwanda receives the highest number of travelers coming for gorilla safaris in Volcanoes national park, Canopy walk/chimpanzee trekking in Nyungwe forest national park, game viewing in Akagera national park and other wildlife experience in the land of a thousand hills. Fortunately, Rwandaair has direct scheduled flights from Kigai international airport to different destinations which has made it one of the easily accessible tourism destination in East and Central Africa. 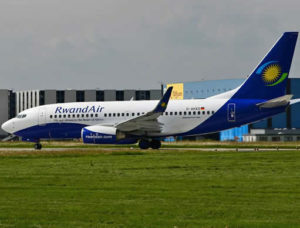 There are many international airliners flying to Rwanda direct or via Uganda to cater for your travel needs to Rwanda. Fortunately, most flights to Rwanda are direct with no stopovers. This saves travelers time and money which would have otherwise become very costly. Getting to Rwanda by air reward travelers with aerial views of Rwanda’s beautiful sceneries, green vegetation and the rolling hills after which the country the country is called the land of a thousand hills. Intrestingly, Kigali international airport is situated in Kigali city which make it easy for travelers o do a city tour immediately after their arrival. Travelers can do a kigali city tour right from the airport reaching out to different tourism spots within Kigali before checking in to their hotel/ lodge. The biggest airlines flying to Rwanda are KLM to Rwanda, Turkish airline flights to Rwanda and Qatar airways flights to Rwanda. Below is a list of Rwanda’s scheduled flights. The time spent in the space depend on the distance covered and the weather. The average nonstop over flight from Rwanda to the United states take roughly 27h and 51 minutes. This covers a total distance of 8138 miles using the Chicago-Kigali route.